I’m going to make and admission that is going to make a whole bunch of you think a lot less of me, but I have a burning need to say it anyway: The PSP Go is one of my favourite consoles ever. Was it a flawed console? Sure, but looking back at it today it was, in so many ways, so far ahead of its time. Related reading: Ten of the best games to have ever been released on the PSP. For those who don’t really remember the PSP Go, don’t worry. It sold in such pitiful numbers that Sony quickly forgot about it itself. Basically it was an attempt to take the PSP – which, for all its issues in the west was a best-seller in Japan – and do a “mid-console cycle” refresh of it, much like the New 3DS was Nintendo’s attempt to do a slight upgrade with the 3DS and thus keep people interested in the console. It was a markedly different console to its predecessor, though; crammed into a tiny form factor, smaller than most modern mobile phones, it was also slim, light, and designed to be carried around in the pocket. The device was so tiny because it did away with physical media entirely. Sony’s UMD proprietary format – the disc-things you’d stick in the PSP – were replaced with a console where you needed to download all your games off the PlayStation Network. This was controversial, of course, as there are a lot of people out there that like having physical copies of games – for collectability if nothing else – and the PSP Go was having none of that. There was also little incentive for retailers to support the PSP Go, as the bulk of their income comes from game sales; sales they were no longer a part of with the PSP Go. 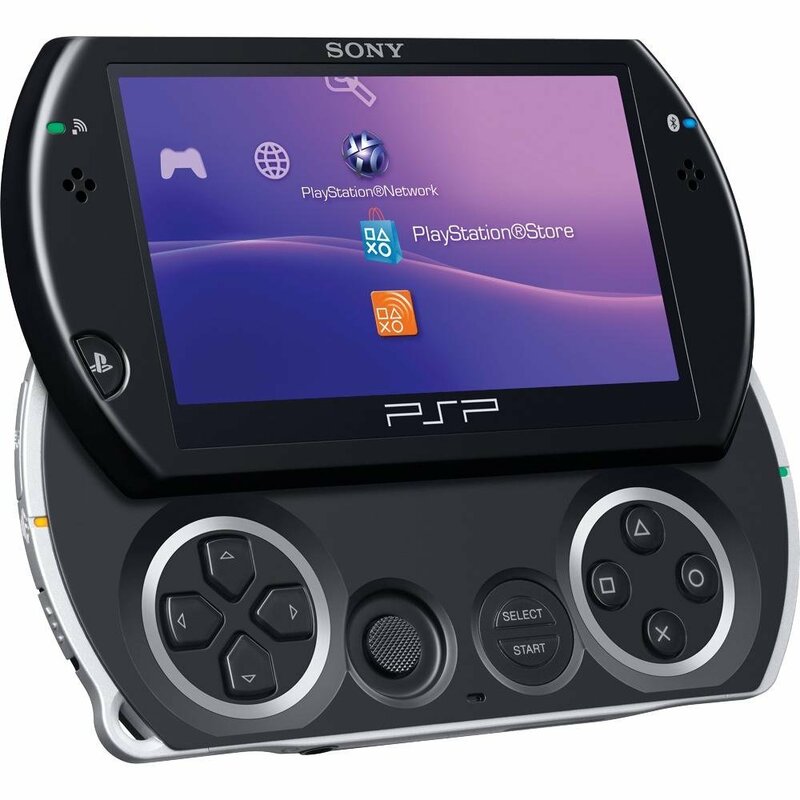 It’s unsurprising that the console was quickly buried in the darkest recesses of the typical game store, and retailers would recommend shoppers to just get the PSP instead. I’m not saying better retail presence would have helped make the PSP Go anything more than a super-niche product, but the retailer’s disinterest in selling the thing certainly didn’t help its dire sales in the end. However, as someone who actively prefers digital downloads for his games, the PSP Go was the perfect solution. As someone who tends to leave his gaming consoles at home, because they tend to be big and bulky enough that they’re a pain to carry around (and, in the case of the Nintendo Switch and Vita, I’m also worried about screen scratches from that bulk), the PSP Go was a console that I carried with me everywhere; it is in many ways the most convenient travel companion I’ve had. I’d jump on a plane with the thing in my pocket and not have to worry about messing about with my bag in the overhead locker after takeoff. At the same time, when I was interstate or overseas for a long period of time, the PSP games were, at the time, the most advanced and complex that were available on the go. I especially liked this for two particular franchises; portable Final Fantasy, and portable Warriors games. Because the PSP Go had PlayStation 1 support, as well as the PSP games, I was able to have every Final Fantasy up to and including Final Fantasy IX on the device; they were either PSP ports of the original games, or the PSOne versions of them. 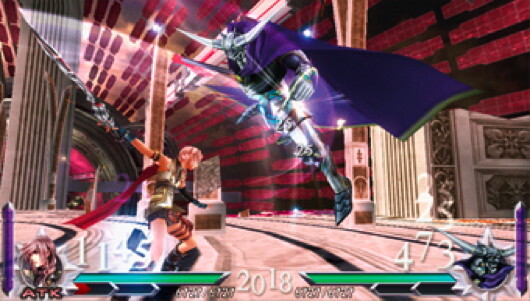 But on top of that there was also the likes of Final Fantasy Dissidia – the really-quite-excellent fighting game that pits favourite characters against one another. And, while it’s not a Final Fantasy game, Tactics Ogre comes from much the same place as Final Fantasy Tactics (with the PS1 version of that game also being available), and provided me with dozens and dozens of challenging, rewarding, tactics gameplay. On the Warriors side, it was ridiculous how much was released on the PSP. From memory I ended up having two Dynasty Warriors, one Samurai Warriors, two Warriors Orochi, and another Koei Tecmo game that made use of the basic Warriors engine, but the name escapes me at the moment. I’ll have all the time in the world for that series forever, I suspect, and at the time Nintendo’s DS was really capable of offering Warriors action, so the PSP Go really was the only option for Warriors on the go. Yes, they were relatively simple by comparison to what Koei was doing with the Warriors series on the consoles, but the sheer novelty of having that particular series in portable form made having a collection of that series in portable form really enticing. As a digression, too: speaking of Koei, the PSP Go also had Dead or Alive Paradise released on it, and hey, we all know how much I like that series. Even when it's at its most primitive and the console can't exactly handle renders of the characters that would ever be controversial in their extreme sexuality, the bubbly fun that runsParadise has always been a positive for me. It wasn’t the perfect console, as I said. As someone who plays a lot of games, the non-expandable 32GB that was in the device was overly restrictive, and there were a number of PSP games that were never released on PlayStation Network, so couldn’t be played on the PSP Go. Those were irritating, but the PSP Go nonetheless ticked the boxes for me enough that I ended up with two of the things. In addition to the games above, I found the console itself a delight to use. The buttons were robust and the right kind of “clicky” for me, and despite the console’s side, it had a gorgeous screen, which you’d slide up to access the buttons underneath. That screen was not as big as the PSP’s, but large enough. In terms of machine design, it was a clever optimisation of space with a focus on sheer portability. Related reading: Looking back on Dead or Alive Paradise. I have a soft spot for microhandheld consoles, I must admit. Nintendo had one of its own for the Game Boy Advance (Game Boy Micro), and the appeal was much the same there; because these consoles offer relatively primitive hardware and, thus, graphics, shrinking down the screen size a little from the default makes the in-game art crisper, cleaner, and more pleasing on the eye for me. Having played the original PSP, I much prefer the PSP Go’s screen, and I find myself wishing that Sony did something similar with the Vita. After buying two PSP Gos for myself, I also bought a third for my wife, and she loved the console herself. I started playing it less as gaming on the iPhone and iPad got to the point where, for short trips, I didn’t really need a gaming console, and for longer trips I had consoles like the 3DS and Vita, but every so often I still power up the console for some of the more timeless PSP classics.